Couples are in love when they a Stowe Wedding Venue for their Vermont Wedding. However, life is full of twists and turns and at times things do not go according to plan. One of the things that both couples and venues for a New England Wedding never want to encounter is the cancellation of a wedding event. But sometimes things happen that are beyond a couple’s control or they simply have a change of heart. There are several companies that sell wedding cancellation insurance and depending on the company and coverage, can cover many reasons for cancellation as well as many different aspects of the event. The only company we have seen which covers a “change of heart” is Wedsure. According to their website, quotes take 15 seconds and start for a little as $95. When couples are planning destination weddings, there are many pieces that need to come together to pull off a successful event. Choosing a venue with a reputation for service and responsiveness, such as The Barn at Smugglers’ Notch, is a good start. But consideration of wedding insurance may be an option for you to consider as well. Drape Art Design in an elegant Stowe Wedding Venue called The Barn at Smugglers’ Notch. Here at Stowe Wedding blog, we are focused on the covering the best of Vermont Weddings. Today, we focus on one of the most talented young designers we have had the pleasure to work with, Monica Flynn of Drape Art Design. Monica is young, but experienced well beyond her years, having known early on that wedding and event design were her calling. She channels her artistic talents into event planning and design in the form of custom draping, high end lighting, elegant furnishing and custom home sewn upholstery. Though based out of Rhode Island, we have seen Monica’s creations throughout New England and as far south as Maryland. 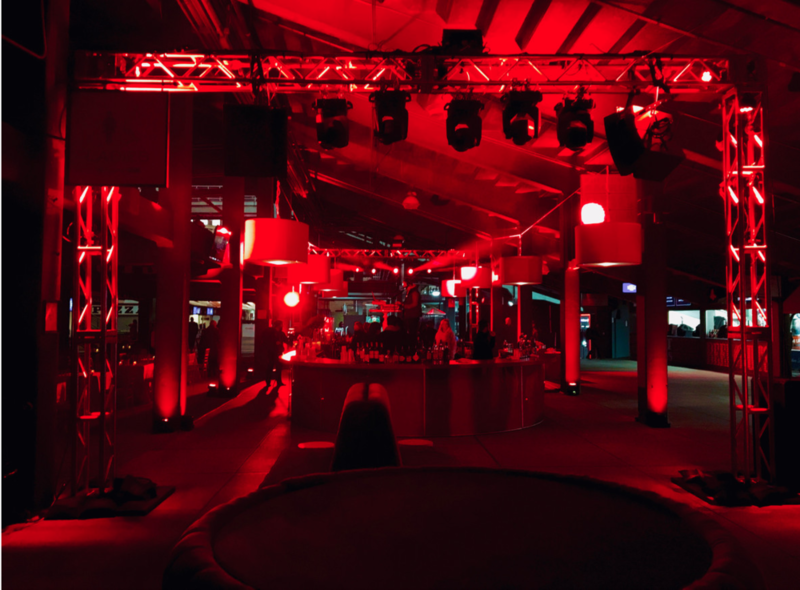 In 2018, Monica and her talented team were chosen to design the event for the Red Sox World Series celebration. Drape Art Design at The Boston Red Sox World Series celebration. 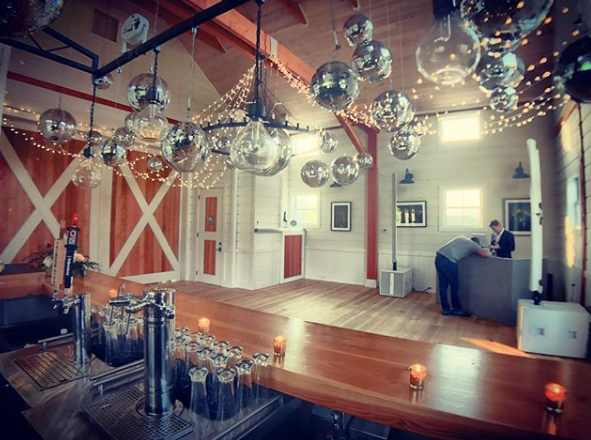 Below is an image at newest Vermont Wedding Venue, The Barn at Smugglers’ Notch. This high end event rented out two other resorts in Stowe and closed them down, except for their guests. However, this NYC wedding couple chose to have their actual wedding ceremony and reception at The Barn at Smugglers’ Notch. Wedding planner for this event was Jackie Watson of Jaclyn Watson Events. Photographer was Jag Studios of NYC. For this event, Monica created custom draping and hung many disco balls. Draping and Disco Balls by Drape Art Design for this Stowe Wedding. Image by Jag Studios. Planner: Jaclyn Watson. Details of the Winery space transformed into a Disco by Drape Art Design. We love hosting beautiful Stowe Weddings. Natural beauty is one of the key aspects to Vermont Weddings and New England Weddings. A good photographer is important to capture the special moments of your wedding event. One of our preferred and trusted vendors, Portrait Gallery, is offer a free engagement photoshoot to any couple that books a wedding at our venue. There is no charge for the session or the images. In return, Portrait Gallery ask for couples to make a donation of any amount to All Breeds Rescue. We specialize in destination weddings and events and we have a team of trusted team of preferred vendors to assist with all aspects of your event. Below is a 5 star review as we have had a great start to the 2018 Vermont Wedding season. Contact us if you would like to book your Vermont Destination Wedding with us. This was a fun event with some creative catering and the raw bar during cocktail hour was fabulous. We will soon be re-opening our winery, where we offer tastings and retail sales of our Varietal Wines by our Sommelier owner. This includes our Stowe Winery and Smugglers' Notch Winery labels. We also offer Vermont Craft Beer and Signature Cocktails. Starting off our Stowe area Wedding Season and perfectly executing an event on short notice. On New Year's Day, I received a phone call from a Father from Atlanta, Georgia that was staying in Stowe and wanted to know if he could come a take a tour of Stowe Wedding Venue. We were closed on New Year's Day, but I gladly met with him and by the end of January we had booked his daughter's wedding. This was a destination wedding, as all involved were from Brooklyn, Atlanta and the UK. The date they booked was March 31. That gave us 8 weeks to start from scratch and develop a custom event, with a custom menu for both the bar and catering. This was quite the challenge, but we were up for the task, even if it was the first wedding event of the season. I am proud to say that we executed flawlessly and the event was a smashing success. There are many that were involved, but I would like to thank some of our key players for putting forth the great effort that is required to pull of a luxury wedding on short notice. Thanks and congratulations go out to our Catering Staff and their leaders, Kristin (Director of Catering) and Chef Vince, our top notch bar staff, Erin from Nectar and Root who did a phenomenal job on floral design and as always my Wife and Partner in everything I do, Jennifer. This Event was a challenge, as it was the first of the season and short notice. But it was great to work with the family from NYC, UK and Atlanta to pull off a most special evening. Congrats to all involved. I am most proud. Below is the review we received, which mentions mostly me. But I humbly know that it takes a special team and we are most fortunate to have one. 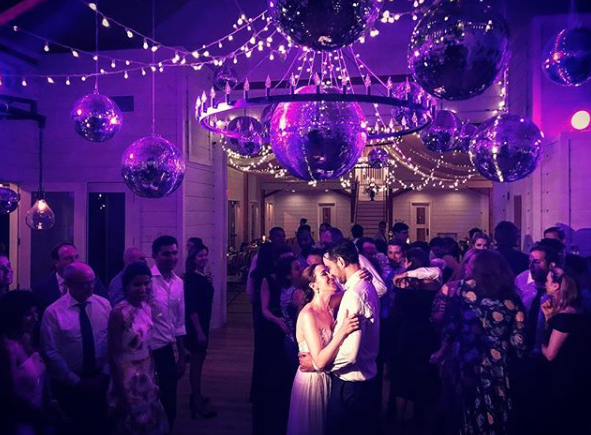 Stowe, Vermont Wedding and Event Venue, The Barn at Smugglers' Notch was once again awarded the prestigious couples choice award given to Venues that are ranked in the Top 5% of Venues in the country based upon millions of reviews. We received the same award in 2017 and are thankful for such a prestigious accolade. We appreciate the efforts of our staff, partners and neighboring resorts of Stowe Mountain Resort and Smugglers' Notch Resort which have allowed us to become one of the premier destination wedding resorts in New England. We host year round Weddings and Events at our beautiful venue located on our 77 acre historic farm with panoramic views of Mt. Mansfield and the surrounding Green Mountains. We have been recognized as being amongst the top 5% each year we have been open.